Users will soon start to see more ads on Twitter based on Web browsing activity, under a new program partly designed to leverage the site's popularity on mobile devices. On Thursday the company announced the global availability of "tailored audiences," which will let the social network deliver ads to users who visited other businesses' websites outside of Twitter. The move catapults Twitter into the upper echelons of retargeted advertising, where Facebook and Google are already big players. It also positions Twitter to better tap into the trove of user data generated on mobile devices, through which roughly 75 percent of its monthly active users access the Web. Mobile devices typically are not able to gather users' digital breadcrumbs in the way that desktop PCs do, so Twitter could also be breaking some new ground with its retargeting program. The technology will use browser-related information, or cookie IDs, to track the websites users navigate to outside of Twitter, and then use that information to serve certain users ads in the form of promoted tweets related to those businesses. 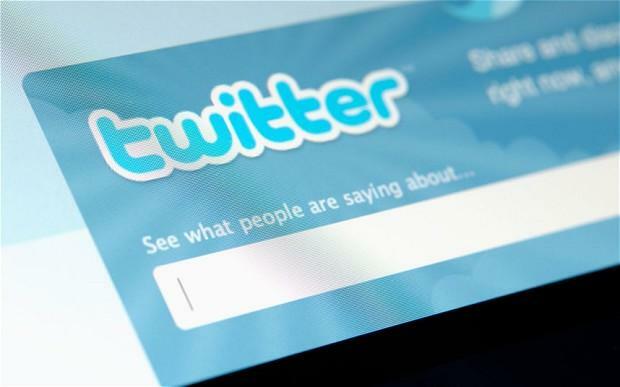 Although the technology is based on Web browsing data, the retargeted tweets could appear anywhere, like within Twitter's mobile apps, but also on desktops. The program works by letting businesses share the browser cookie IDs with Twitter through any number of advertising partners. Twitter can then match that information to specific users to show them a promoted tweet. So if a hotel wants to advertise on Twitter, but only to travel enthusiasts, it can place promoted content like a special offer in the feed of people who, say, visited the Hawaii section of the hotel's website, Twitter said. Through the program, advertisers will receive reports of how many users saw or clicked on the ad, but will not see who saw or clicked on it, Twitter said. Twitter has partnered with a number of ad technology companies to make it all work, including Adara, AdRoll and ValueClick. The program has been in a testing mode for the past several months, used by a group of advertisers like New Relic, an app performance management company, and Delta Air Lines. For users who bristle at the thought of another Internet company tracking them, Twitter offered a few options. Users can uncheck the box next to "promoted content" in their privacy settings and Twitter will not match their account to information shared by its partners for tailoring ads, Twitter said. The company did not say, however, whether it would still hold on to users' data for other purposes. Twitter also noted that it supports the do not track privacy preference. Users who enable that option in their browser settings will not receive cookies from Twitter ad partners for tailored ads. "While we want to make our ads more useful through tailored audiences, we also want to provide simple and meaningful privacy choices to our users," said Twitter product manager of revenue Abhishek Shrivastava. Twitter already has its hands in the cookie jar. Last year, the company started tracking users' activity on select outside websites to give them tailored suggestions for whom to follow on the site. The suggestions were also based on accounts followed by other Twitter users. Since then, other reports have identified some third-party applications like Twitter Disconnect to thwart tracking. But as a public company now, Twitter faces rising pressure to further monetize its services and turn a profit, which it has yet to do. So its efforts to scale up its advertising are not likely to slow down, especially on mobile devices. Although the company generated US$317 million in revenue last year, its loss was about $79 million. The company, however, has already found success with mobile advertising: In the first six months of this year, more than 65 percent of its advertising revenue came from smaller screens, the company revealed in its IPO documents.